Franzia Executive Cycling Team, a group of executives from various fields and professions like pilots, doctors, businessmen, and corporate executives from Manila, Hong Kong and Japan get together for two biking events yearly to fuel their passion, join friendly competitions and ultimately to maintain a healthy and fit lifestyle. Team Franzia members from L-R: Rolly Cruz Enzo Cochanco, Eric Maranello, and Bennis Caw, Colnago Philippines Harley and Dale Rosales (5th and Team Franzia Founder Lucio Cochanco (center) sign into the exclusive partnership of special edition frames for the executive cycling team. 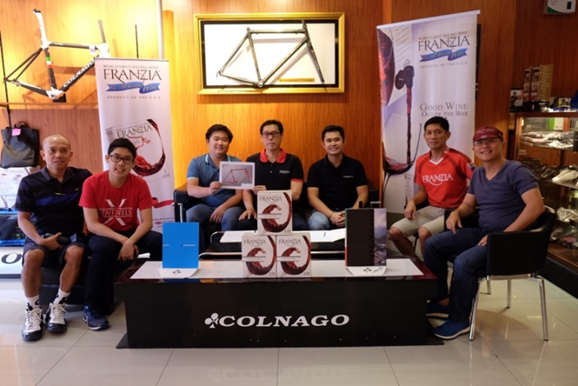 As a cycling connoisseur’s bike dream frame, Team Franzia founder and Fly Ace Corporation President Lucio Cochanco is stoked to partner with Colnago Manila for his biking group. This year, the team elevates the experience as they announce their partnership with Colnago Manila. The Italian cycling frames brand, Colnago, is most trusted for their unique carbon steel road bike enhanced with their signature colors that are elegant and ravishing. 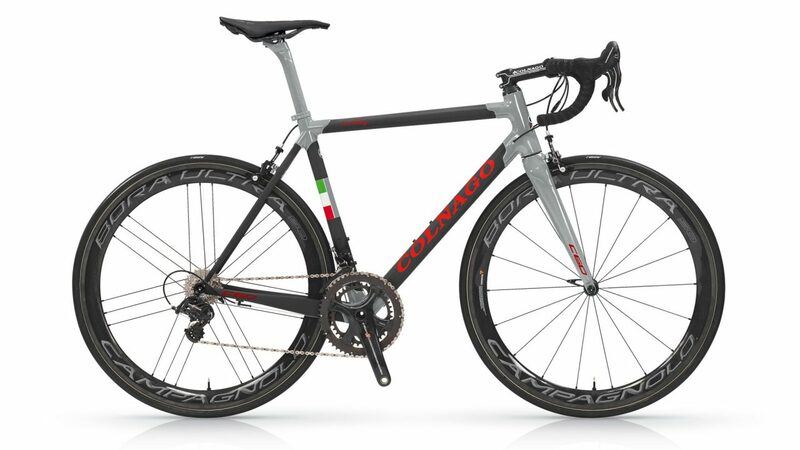 Colnago is also known as the Ferrari of road bikes and most bikers would covet this Italian brand for their smooth, confidence-boosting handling of every machine they produce. “Colnago has been a dream frame of mine since my high school days. The design geometry, lugs and paint designs of Ernesto Colnago is a mix of superb engineering science and art put together that made it an Italian pedigree heritage brand. I am happy to be doing a partnership with Colnago for the whole team as the ride of Colnago frames are relaxing while being very responsive at the same time,” said Cochanco. Established in 1954, its unsurpassed craftsmanship and innovative design is what makes Colnago one of the best builders of a custom road race in the world and a legend in the bike manufacturing industry. 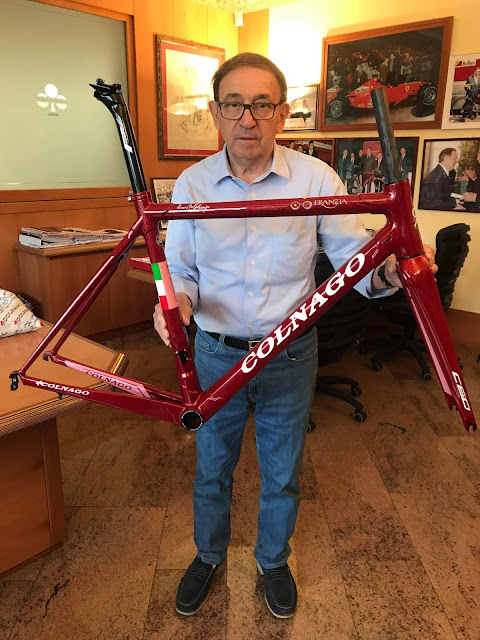 This is the first time that Colnago will collaborate with an executive team in the world, wherein only 32 Colnago C-60 Special Team Franzia frames will be entirely handcrafted in Italy. “Our partnership with Team Franzia is something that I have long envisioned for the company. It symbolizes a momentous union of two powerful forces and our unbreakable tradition of excellence and quality. And it couldn’t have been a better occasion because this is also the first big partnership we’re signing in the Philippines, which also coincides with the 85th birthday of our founder, Ernesto Colnago” said Colnago Philippines Marketing Head Dale Rosales. Despite their busy schedules in their respective offices and fields, Franzia Executive Cycling Team makes time to ride together around Metro Manila or nearby towns at least two to three times a week and compete every once in a while. An activity that each member looks forward to on a regular basis, the group was formed out of a passion that also allows them to manage stress and perform at their best in the work place. The team also organizes a Team Ride at least twice a year wherein all members from all over the country and those abroad meet to cycle together. “The spirit of camaraderie and passion for the sport are the basic foundations of Team Franzia. Just like in any gatherings and celebration of success, family and friends share these two values – camaraderie and passion – with nothing less but the world’s best-selling wine,” shared Fly Ace Corporation Marketing Manager Abbie Ng-Reyes. Team Franzia’s love for cycling and the many benefits it brings such as the joy of getting to participate in an activity that’s founded on friendship makes the group both inspiring and a motivation to all the executives who wish to enjoy a balanced life. “A bike frame that’s built for winning performance, such as Colnago, enhances the quality of performance of riders that feel safe at high speed, with calm delight in slinging down descents, with a reassuring safety to the senses as you near your limits that will help us in our upcoming competitions. Personally, it helps me to reach my goals in every bike ride or competition while pushing myself to do better and come out stronger each time. We hope that this partnership will be for many years as it inspires a positive energy among the hard working executives of our time,” concluded Cochanco.